A common question relating to rhinoplasty surgery is what technique to use to obtain the best results. Rhinoplasty surgery has to do with the difference between open rhinoplasty and closed rhinoplasty. These are two varying surgical approaches used to reshape the nasal tip. 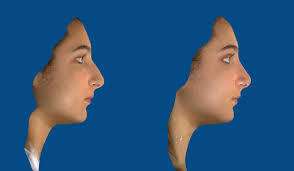 The surgeon’s decision doing open or closed rhinoplasty techniques depends upon how the underlying nasal skeleton affects the desired changes in the shape and contour of the nose. Open rhinoplasty, also referred to as external rhinoplasty uses a “bridging” incision called a trans-columellar incision to join the incisions made within the left and right nostril. In this incision nasal skin is folded back giving surgical access and visibility to the underlying nasal structure. This surgery is performed under general anesthesia or twilight sedation. The primary benefit of open rhinoplasty is that allows easy access to underlying bone and cartilage structure. This access results in improved accuracy for reshaping the framework of the nose to achieve desired contouring, which is not possible using the closed technique. Additionally, The open technique is best used when considering a revision rhinoplasty because the original structure of the nose has already been disturbed. The downside to open rhinoplasty is that noticeable scarring is more likely. However, the scar is typically comparatively small and occurs at the smallest portion of the columella on the undersurface of the nose. This way, with precise execution and closure, the scar should only be faintly visible. Closed rhinoplasty, also referred to as endonasal rhinoplasty, When performing the surgery, the surgeon places parallel incisions that encircle half of the nostril lining, this provides access to the underlying bone structure. The greatest benefit of closed rhinoplasty is that it is performed by making all necessary incisions completely hidden within the nostrils. Because the closed approach is less invasive than open rhinoplasty, this technique emphasizes a shorter recovery period. However, in closed rhinoplasty, the incisions of the left and right nostril remain disconnected, which hinders the placement of the nasal skin. The entire operation is performed through separate narrow surgical openings that limit visibility and surgical access to the underlying structure. In addition, this approach entails a greater probability of distortion of the nasal cartilage, since access to the frame requires an intense stretching of the skin. Nor does it allow complex tip remodeling to be carried out easily. The practical difference between the two techniques is little, but the results are important. Without the columellar incision, the closed technique allows for faster operation and less inflammation during the recovery period. On the other hand, an open rhinoplasty allows greater precision for difficult noses and by altering nasal structures for more complex cases. With experience in performing rhinoplasty surgeries. The best approach for you is discussed during your consultation.